Fourteen year old boys still don’t make good plans. After escaping from the Brummgan slavers, the Chookook family, with a healthy dose of good fortune, Jack infiltrates another mercenary organization in order to steal their files. This time, Jack and Draycos know where to look because of an act of mercy that Draycos insisted upon back in Volume 1: Draycos took a few seconds to prop up a man he had disabled so that the mercenary wouldn’t burn to death upon the ground heated by the crash of his ship. In doing so, Draycos instantiates something very much like the jus ad bello criteria of the Catholic Church that govern just conduct in war. So far as I know, Zahn isn’t Catholic. I guess that he simply used medieval chivalric ideal as an example for Draycos, and in some typically thorough research, brought this along for the ride. What I can’t even begin to guess is whether he developed it into a more modern rendition on his own, or if he used another source. Reading something like The Song of Roland with the eyes of an early twenty-first century American, it is hard to avoid the impression that Roland is a bit of a chump. Roland’s last stand is certainly dramatic, but he could have blown that horn earlier and saved everyone a lot of trouble. But his knightly honor wouldn’t let him call for help carelessly. To do so would be to admit weakness, which would shame him in the eyes of his peers. Roland is mostly concerned with defending his honor, defined as mutual respect among a society of equals [warriors]. If your peers don’t see or recognize this kind of honor, it very much doesn’t truly exist. Draycos’ ideas of honor on the other hand, are a little more practical than Roland’s. Draycos is perfectly willing to retreat without shame in the face of a superior force, or seek to avoid combat when defeat is more likely than victory. He is, on the other hand, is acutely interested in defending abstract ideals, even when no one is looking, even when it actively works against his obvious interests. This is guilt culture, rather than shame culture, in the context of war. In the Christian West, chivalry was one of the stages by which shame cultures with a warlike bent turned into guilt cultures with an interest in defending the weak and defenseless, even when they mean you harm. In the twelve or so centuries since Hruodland, captain of the Breton Marches, made a last stand that was told for a thousand years, Catholic thinking on war has tended toward a police model, where minimum force is used to achieve the objective at hand. This is very much the model Draycos uses, except that in his culture, he personally combines the prerogatives of judge and jury and executioner in one, which is a bit unsettling to Jack, and probably would be to most of Zahn’s readers, modern Westerners, who are accustomed to a separation of powers model. However, Western thinking on war by those who actively practice it doesn’t necessary track well with the development of Catholic Just War doctrine. 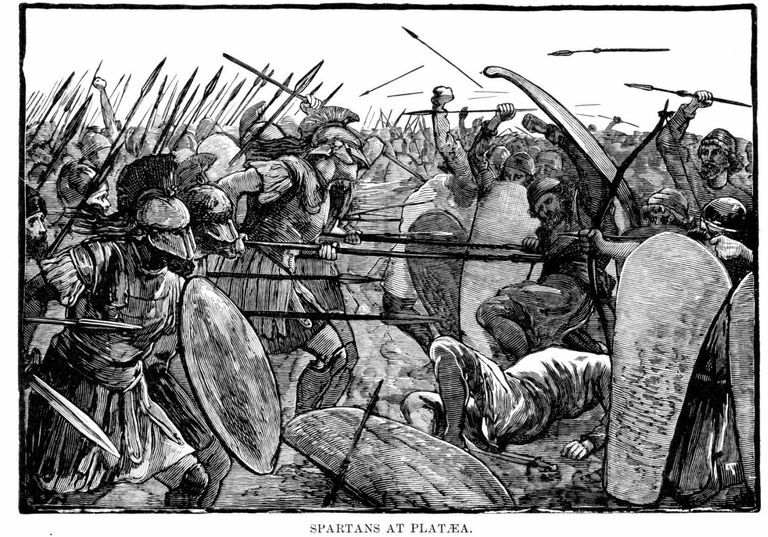 Victor Davis Hanson made the argument that going back to the Classical Greeks, the Western way of war was to seek decisive battle which destroyed the enemy [or at least his ability to fight]. What this looks like shouldn’t be at all unfamiliar to any educated Westerner, because it is how we [the Allies] waged World War II. We crushed our enemies, until they had no recourse. We burned their cities, without remorse. I’m not talking about nuclear weapons either, which don’t actually rise to the level of the enormity I am talking about. This was what Jerry Pournelle called WARRE. Warre to the knife, fire bombs, nuclear weapons, death and destruction. I am not sure that Hanson made his argument in quite the way he meant to, but I think it is true that the West has a tendency to do this. Draycos, despite being on the losing end of an interstellar war, is too high minded to embrace the scorched earth tactics of his enemies. Even though that war involved the death of something like 90-95% of his people. We were not so generous to our enemies. 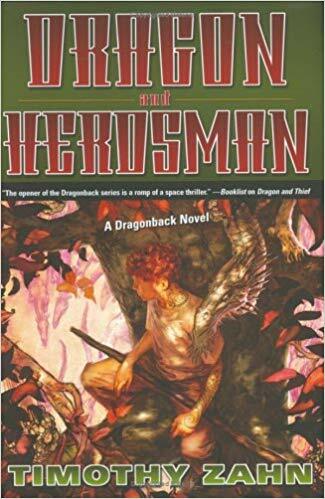 That highmindedness is put to the test here, in Dragon and Herdsman, when Jack and Draycos, fleeing from angry mercs who caught them in the act, stumble upon a colony of Draycos’ people on a remote world. Except, they aren’t really his people, in the cultural sense. These phooka are physically the same as Draycos, but in isolation, they have regressed to a state of mute inactivity, unable to speak, and ignorant of the proud glories of K’da history. Draycos is stunned and appalled to find his brethren reduced to such a state. Draycos’ sense of honor, like cast iron, can be strong, but also brittle. It is especially endangered when a core assumption, like the inherent nobility of his people, is undermined. Fortunately, Jack’s more pragmatic [self-serving even] sense of ethics provides cushion and flexibility in the same way that a blade can be made more durable by combining hard steel for the edge with mild steel for the spine, taking the best properties of both. For Jack and Draycos, the process by which this works is not simply conversation and time. They are each becoming more like one another, so much so that Jack is starting to have some of Draycos’ warrior’s spirit [and tactical knowledge], while Draycos now has the resiliency born of living life in the shadows. The phooka are likewise slow of body and of mind because the hosts they found on remote Rho Scorvi are dimwitted and indolent. There is something special about Jack and Draycos, and in some way their meeting was providential. And now we have another piece of the puzzle as to why this might be. Werwolf wasn't the only partisan organization organized in post-WWII Germany. However, Werwolf was probably the best known. Here, John imagines what might have been if the remaining Nazis in 1945 hadn't been too otherwordly to be effective. Joseph Goebbels, Minister of Propaganda and Gauleiter of Berlin, showed no signs of slacking in the months before he killed himself in Hitler's bunker on May 1, 1945. According to the selections from his diary edited by Hugh Trevor-Roper and published as "Final Entries 1945," he not only attended to his ordinary duties regarding national editorial policy and the defense of the city, but also found time to do things like review the new tax code and to arrange for an annoying colleague to be drafted. Of all these activities, however, perhaps the most surreal was his enthusiastic support for the "Werwolf" movement. Goebbels spoke of the Werwolf almost as if it were an electoral campaign. Despite the other things he had on his mind, he exerted himself to create a new Werwolf radio station, and even tried to found a newspaper. (The radio station actually operated for a few weeks.) Propaganda for and about the Werwolf were among the last products of the regime. In retrospect, some commentators have tended to dismiss the Werwolf as something of a Nazi hoax, one whose primary effect was to induce the western Allies to invade Germany on a broad front, rather than go directly for Berlin. Still, I for one have sometimes wondered just what this "Werwolf" effort was, and how seriously the Nazis took it. Perry Biddiscombe, an assistant professor of history at the University of Victoria, answers in "Werwolf!" all the questions you are likely to have about the movement, and in a very readable form. (Don't be intimidated by the apparent size of the book, by the way: the text ends at page 285, followed by notes and appendices.) "Werwolf!" provides valuable insights into the "polyarchic" nature of the Nazi regime, both in its salad days and in its dissolution, as well as a general overview of the last few months of the war in Europe. 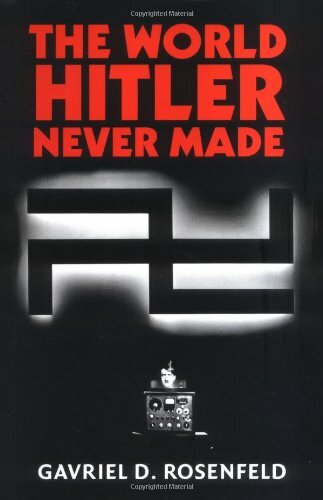 Finally, though the author does not address this matter, the book may provide some useful ideas for counterfactual speculation about the possible evolution of National Socialist society, had it survived the war. The term "Werwolf" is the equivalent of the English "werewolf," meaning "man-wolf" or "lycanthrope." There is, however, another term, "Wehrwolf," which is pronounced about the same as "Werwolf," but which means "defense wolf." "Wehrwolf" actually has a long association with irregular warfare in Germany. A famous novel by that title, written by one Hermann Loens and published in 1910, was a romantic treatment of peasant guerrillas in northern Germany during the 17th century. Though this novel was in fact promoted by the Nazi government, particularly the Hitler Youth, the spelling "Werwolf" was favored when the Germans began planning for partisan warfare, because the Nazis had had a competitor on the Right in the 1920s called the "Wehrwolf Bund." Besides, "Werwolf" sounded more feral. As with so much else the Nazi government did, the Werwolf initiative was something of a pillow fight, with different actors competing for control of Werwolf organizations and with different ideas for what the Werwolf was supposed to do. The original concept was clear enough, however. "Clausewitzian partisans" are part of orthodox military doctrine. They are militia who operate behind the lines in territory occupied by the enemy. Their function is to cut supply lines and generally cause confusion, but their operation presupposes the continued existence of a national government and a conventional army. The Germans had experience fielding irregular forces of this nature, both against Napoleon and in the form of the independent "Freikorps" units that operated in eastern Germany during the chaotic period just after the First World War. The Germans started thinking about them again as soon as the situation on the Russian front began to deteriorate, and in fact anti-Communist partisans did the Red Army appreciable damage. It was only in the last half of 1944, however, that the Germans began to focus on the possibility that the Allies might have to be resisted within Germany itself. This was a job that no major player in the German government or the military wanted to be associated with until the last moment. Thinking about the penetration of Germany, even the extended Germany of Hitler's annexations, implied a fair amount of defeatism. Additionally, the military was not keen on sharing its dwindling resources for training and material with civilian stay-behind groups. In principle, the Werwolf was commanded by SS Chief Heinrich Himmler, through a back channel consisting of local chiefs of police. These middle-aged men tended to regard partisan activity as somewhat disreputable, and in any case had no idea how to go about it. Far more dynamic, and only nominally under SS command, was the Werwolf program operated by the Hitler Youth. The story of the Werwolf proper, in fact, is largely a cautionary tale about what happens when you give teenagers a license to kill. Despite all obstacles, training programs were improvised for youths and adults, though the courses sometimes lasted just days. Underground bunkers were prepared in isolated areas, from which the Werwolf were supposed to emerge to strike terror into the enemy. Werwolf was supposed to mesh into the larger project of establishing an "Alpine Redoubt," a base in Austria and mountainous southern Germany to which conventional forces might retreat. Certainly the major Werwolf training bases were located in that area. The last-minute attempt to build underground facilities in the Alps were too little, too late, and the armies ordered to go there never arrived, for the most part. In the final few days, Hitler decided to stay in Berlin, rather than go south and try to organize the Redoubt from Berchtesgaden. Still, it was not quite just a propaganda ploy. What did the Werwolf do? They sniped. They mined roads. They poured sand into the gas tanks of jeeps. (Sugar was in short supply, no doubt.) They were especially feared for the "decapitation wires" they strung across roads. They poisoned food stocks and liquor. (The Russians had the biggest problem with this.) They committed arson, though perhaps less than they are credited with: every unexplained fire or explosion associated with a military installation tended to be blamed on the Werwolf. These activities slackened off within a few months of the capitulation on May 7, though incidents were reported as late as 1947. The problem with assessing the extent of Werwolf activity is that not only official Werwolf personnel committed partisan acts. Much of the regular German fighting forces disarticulated into isolated units that sometimes kept fighting, even after the high command surrendered.. In the east, units that had been bypassed by the Red Army tried to fight their way west, so they could surrender to the Anglo-Americans. In the west, the final "strategy" of the high command was to stop even trying to halt the Allied armored penetrations of Germany, but to hit these units from behind and cut off their supplies. Perhaps the most harrowing accounts in the book are those relating to the expulsion of the ethnic German populations from the Sudetenland and the areas annexed by Poland. The latter theater in particular seems to have been the only point in the European war in which a civilian population was keen about a "scorched earth" strategy. Very little Werwolf activity was directed with an eye toward political survival after the complete occupation of Germany. The Nazi leadership could not bring themselves to think about the matter. Certainly Himmler could not. In the last days before his own suicide, he tried to close the Werwolf down, the better to curry favor with the western Allies. Still, elements of the movement did make some plans for after the war. The Hitler Youth branch devised a political platform for a peaceful, postwar, Werwolf political organization. They also took steps toward ensuring financing for these efforts. In the last days of the war, forward-looking Nazis scurried about Germany with funds taken from the Party or the national treasury, buying up businesses "at fire-sale prices," as Biddiscombe dryly puts it. These enterprises prospered slightly in the months following the end of the fighting, but were wrapped up by the occupation authorities by the end of 1945. This brings us to the role of the Nazi Party in the Werwolf movement. An aspect of the Third Reich on which Biddiscombe lays great stress is the surprisingly derelict state of the Party itself. When the Party was new, it was in many ways a youth movement, or perhaps a brilliant propaganda machine that mobilized a youth movement. Even before the war began, however, it had become little more than a patronage organization, notable mostly for its corruption. The old guard, who had come to power with Hitler, had no new ideas themselves and stubbornly refused to make way for new blood. The Gauleiter, or district leaders, were not an elite, and the organizations they commanded did not attract persons of the first quality. This situation particularly frustrated the "old fighters" like Goebbels and Robert Ley, the labor chief, and Martin Bormann, Hitler's party secretary. Though they continued to have considerable influence on policy because of their strong personal relationships with Hitler, nevertheless they had long been losing institutional power as the Party was eclipsed by the SS. That organization could make some claim to being an elite. At the very least, it was still more feared than despised. Thus, in the closing months of the regime, some of the Party leaders saw the Werwolf as an opportunity to wrest power back from the Reich's decaying institutions. Goebbels especially grasped the possibility that guerrilla war could be a political process as well as a military strategy. It was largely through his influence that the Werwolf assumed something of the aspect of a terrorist organization. Where it could, it tried to prevent individuals and communities from surrendering, and it assassinated civil officials who cooperated with the Allies. Few Germans welcomed these activities, but something else that Goebbels grasped was that terror might serve where popularity was absent. By his estimate, only 10% to 15% of the German population were potential supporters for a truly revolutionary movement. His goal was to use the Werwolf to activate that potential. With the help of the radical elite, the occupiers could be provoked into savage reprisals that would win over the mass of the people to Neo-Nazism, a term that came into use in April 1945. Bizarre as it may seem, Goebbels saw the collapse of the Reich as the opportunity to put through a social revolution, particularly a social revolution manned by radicalized youth. Always on the left-wing of the Party, Goebbels felt that Hitler had been mislead by the Junkers and the traditional military into bourgeois policies that had corrupted the whole movement. With Germany's cities in ruins and its institutions no longer functioning, the possibility had arisen to start again from scratch. Biddiscombe notes that Hermann Rauschning , a former Nazi official who defected to the West before the war, called Nazism a "revolution of nihilism." Biddiscombe suggests that the radical wing of the Party, freed by defeat from the responsibility for actual government and the constraints of a conventional war, reverted in the final days to the nihilistic essence of Nazism. In some ways, Goebbels' policy resembled what Mao Zedong did in China. Even the plans for the Alpine Redoubt are reminiscent of the Long March to the base at Yennan. Before the Long March, the Chinese Communist Party was a fairly conventional Stalinist organization. It presupposed the facilities of civilization for its operation. When it descended from the mountains after the war with Japan ended, however, the Communist Party was something like a new society in itself. Goebbels hoped for something similar in Europe, counting on the sudden outbreak of a war between the western and eastern Allies to provide the strategic breathing room for a renewed regime to coalesce. When no such war broke out, and the Alpine Redoubt proved to be just another Nazi pipe dream, the Werwolf simply evaporated. While perhaps one should not press the Chinese comparison too far, still it is probably significant that the most radical manifestations of Chinese Communism appeared a good 15 or 20 years after the Party came to power. They appeared in time of peace, as old party hands tried to retake control from the conventional organs of government. If the Nazi state had won its war with the Soviet Union and fended off invasion from the West, might something similar have happened? The early Nazi enthusiasm for socialism and social solidarity had become largely rhetorical by 1939, but the ideas always remained, ready to the hand of bold Party officials who might someday find the arrogance of the SS too threatening. Perhaps the Werwolf is the dim reflection in our world of another future. In that world, the 1960s see Brown Guards take over the streets of Germania, the new Nazi capital. Egged on by Old Fighters behind the scenes, they demand that the aristocrats of the SS get off their high horses and learn from the Volk. Ancient universities are closed down or turned into schools of indoctrination. Elderly scholars are sent to country districts to raise pigs. Gullible journalists arrive from abroad, and send home admiring articles about how the Germans must be understood on their own terms. Any scenario in which the Third Reich lasts longer than it did is unpleasant to think about. In this one, however, there is at least a built-in consolation. The Nazi empire, held together by coercion, would probably have blown up as soon as the effectiveness of its military was degraded by revolutionary fervor. On July 20, 1944, Lieutenant Colonel Claus von Stauffenberg attempted to assassinate Adolf Hitler by placing a bomb in the conference room at the East Prussia command center where Hitler was holding a meeting. The bomb went off and von Stauffenberg telephoned to his confederates in Berlin that Hitler had been killed. The conspirators had planned to stage a coup, using elements of the skeletal Home Army in Germany, perhaps supported by some of the generals on the Western Front. However, the would-be putschists in Berlin dithered for several hours, trying to get confirmation that Hitler was really dead. They did not seize the government ministries, or the telephone exchanges, or even the radio stations. When Goebbels was able to confirm that Hitler was alive and convince the army units in Berlin of this fact, the coup collapsed in short order. Apparently, all that saved Hitler's life was the absent-minded placement by his adjutant of the bomb from one side of a wooden table support to the other. Suppose the bomb had not been moved, and Hitler had been killed? Objectively speaking, something like this might have been possible. The military position of Germany in July 1944 was grim. At the beginning of the month, the Russians had crossed the pre-war eastern border of Poland. Hitler was having that conference in East Prussia because the Russians were only about 60 klicks from the province. In the west, the Anglo-Americans were breaking out of Normandy, and Paris would fall in August. Still, the Germans were far from beaten. Armaments production, for instance, peaked in July. In the months before Germany finally surrendered, they would stabilize the situation more than once, and even conduct some notable offensives. In other words, they still had something to bargain with, and both sides knew it.